We offer a wide range of Aluminum Sand Castings, which includes Air Intake Manifold, Air Inlet Manifold, Earthing Switch/ Housing, Heat Sink Pin/ Rib Type, Aluminum Pump Casting, Base Frame Tap Changer and Selector Housing Tap Changer. These are developed in tandem with latest technological advancements in the market to ensure optimum quality. Our range is produced by forming a mold from a sand mixture and then pouring molten liquid metal into the cavity in the mold. 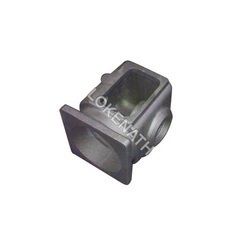 Further, we offer our range in various specifications as per the client’s requirements. With our expertise in the respective field, we are engaged in offering a comprehensive range of Aluminium Sand Castings. Aluminium Sand Casting is widely used in locomotive application, as our range is leak proof & can even withstand high voltage application. We offer our range in customized finishes as per the specifications provided by our clients. We make speciality cast aluminium heat sinks in both pin & rib type designs. 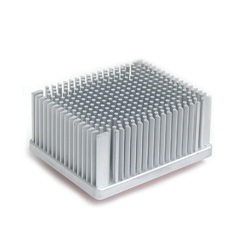 Our Aluminium Heat Sinks are made of special aluminium having very high thermal conductivity and single piece cast structure gives very good thermal conduction. We manufacture and export a wide range of Heat Sinks, which is used in power electronics, railways, medical science and heavy electrical works. We make use of high conductivity and pure aluminium to manufacture these Heat Sink Pin/ Rib Type to ensure optimum quality in the end product. 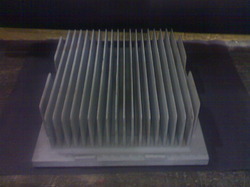 These aluminium sand castings are extensively used for thermal conduction for cooling the mounted electronic device by enhancing the surface area.These are single piece cast construction very unique way of making these heat sinks highly efficient and cost competitive. Looking for Aluminum Sand Castings ?